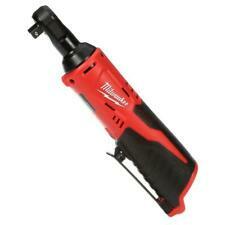 Milwaukee 2804-20 M18 FUEL 18V Brushless 1/2 in. 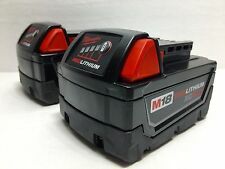 The M18 FUEL 1/2 in. shorter and is up to 2X faster under heavy load. At 6.9 in. 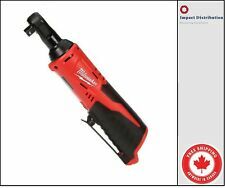 in length this is the most compact drill in its class giving better access into tight spaces and reducing fatigue. 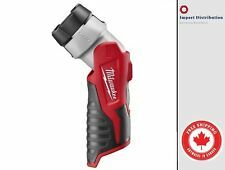 Milwaukee 2555-20 M12 FUEL Stubby 1/2" Impact Wrench. One of 90 tools on the M12 System. Bare Tool Only. This is a threaded adapter to fit the Milwaukee M12 Polisher / sander. The adapter has m9x0.75 threads on one end and 1/4"-20 on the other. This adapter allows installation of a standard Roloc or sanding backing pad with an internal 1/4"-20 thread. The M18™ Cordless 1/4" Hex Impact Driver features an LED Light to illuminate work surfaces, and. A tool-free accessory change allows the user to quickly change between polishing and sanding accessories. Optimized to provide the fastest and most precise detail work. 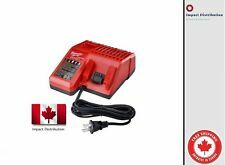 YOU ARE BIDDING ON A BRAND NEW STILL IN PLASTIC BAG Milwaukee 18V 2656-20 1/4 impact driver M18 lithium ion Bare Tool Only. Sorry no local pick ups on items. The Tick is designed specifically to survive in these conditions. Missing your tools?. 'Report Missing' is a feature that allows you to report an item in your inventory as missing and One-Key will search for it. 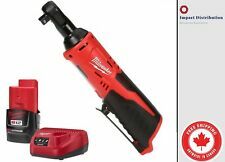 Hex Impact Driver bare tool with belt clip. 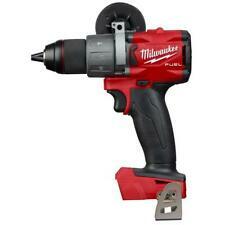 The M18 Compact Brushless 1/4 in. 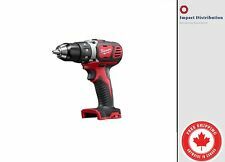 Hex Impact Driver is the industry's fastest 18-Volt compact impact solution. Brushless motor technology provides 1,600 in. 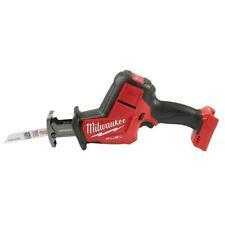 The M18 Brushless Cordless Compact 1/4 in. 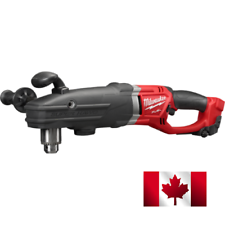 Hex Impact Driver is the industry's fastest 18-Volt compact impact solution. Brushless motor technology provides 1,600 in. 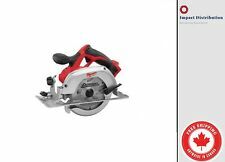 Includes: 2850-20 M18 1/4 in. Hex impact driver bare tool. 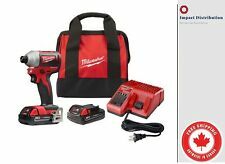 Milwaukee 2654-20 18V Li-Ion 3/8" Cordless Impact Drill. 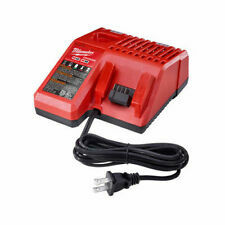 Milwaukee M18 Tool Mount. 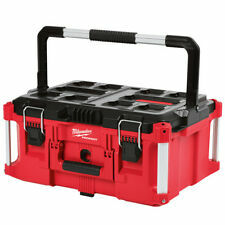 This Milwaukee M18 tool Holder has mounting holes allowing it to be secured to anything that you can put screws through. 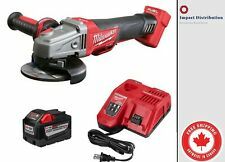 Milwaukee 2457-21PO M12 12-Volt Lithium-Ion Cordless 3/8 in. 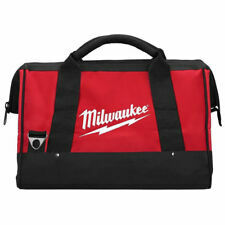 Ratchet Kit W/ PACK. Condition is New. Shipped with USPS Priority Mail. 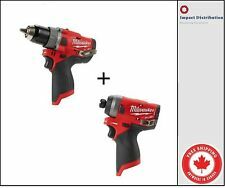 MILWAUKEE ELECTRIC TOOL 48-32-5003 1" #2 Phil Insert Bit 15 PACK FREE SHIPPING! !